Whether you’re commuting across town, or jetting across the globe, SWISSGEAR understands your needs and has you covered. Built on trust, quality and innovation, SWISSGEAR is the brand that consumers have come to rely on for providing well-made products that are intelligently designed, highly functional and remarkably durable. Especially now that holiday travel season planning is beginning, it’s time to start thinking about practical travel solutions. In every instance, SWISSGEAR provides the ultimate in durable portability and mobility for your daily commute, your next trip abroad, or your family on-the-go. I can’t even remember all the times I wish I had a better, more durable and practical piece of luggage with me. It was that one time traveling across Atlantic, back home from an eight-month work assignment, when I had to leave a great deal of my belongings behind. And just a few days ago road tripping from side of Europe to another, when there was barely any room left in the car for my very unpractical suitcase. The Swissgear backpack is TSA approved, which means you don’t have to take your laptop out of your bag through security. Not to mention backpacking around Belgium and Netherlands last year with what was once my brother’s school backpack. Yep, those are just a few moments where SWISSGEAR would really make my travels easier. If you have a case of wanderlust, then let SWISSGEAR help take you to the destination you’ve been dreaming of. Whether planning your next outdoor adventure or flying to another city, SWISSGEAR provides the ultimate in durable portability and mobility for your trip. 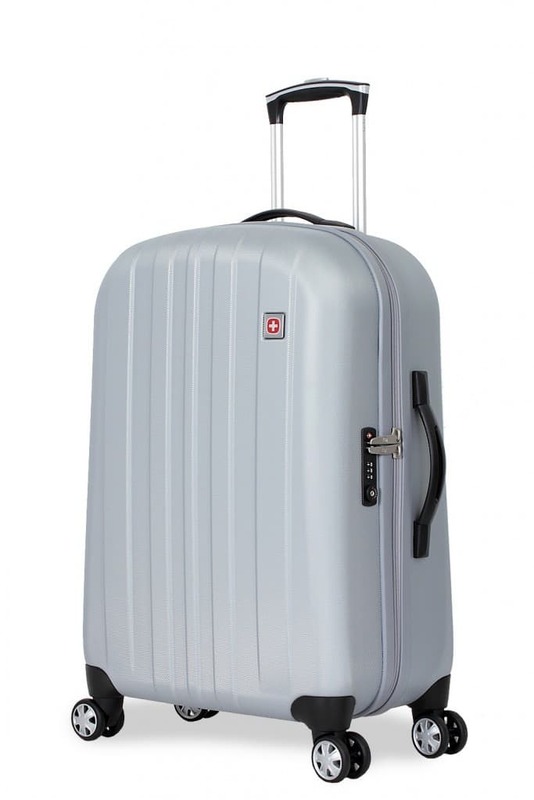 One of our favorite pieces is the SWISSGEAR 24″ Spinner luggage, with a sporty two-tone design, aluminum, push button locking telescopic handle, four 360 degree, multi-directional spinner wheels and reinforced top & side handles with integrated bottom handle. For all those longer travels, we suggest to pack up in SWISSGEAR 6151 deluxe hardside spinners. They come in 20″, 24″and 28″ sizes and all feature polycarbonate hardshell construction, aircraft grade aluminum, push button locking telescopic handle and Eight 360 degree, multi-directional spinner wheels. One thing that always comes in handy is SWISSGEAR convertible travel pillow, which will help you arrive to your destination rested and ready for the adventure. It has a soft, flexible design, can be used as a U-shaped neck pillow or tube-style support pillow and has an adjustable closure strap. To stay organized on your next trip make sure to pack up the SWISSGEAR 2310 Hanging Toiletry Kit. It has a large-opening main compartment for easy packing and unpacking, multiple slip & zip pockets for added organization and integrated elastic strap system to help keep bottles and other contents in place. No more spilled shampoos and messy toiletry kits. So there you go, just a few tips on how SWISSGEAR can make your travels even more pleasurable. Now it’s up to you: share and tag your photos of the next destination or outdoor adventure on your Instagram and use #SWISSGEAR to tell us how SWISSGEAR changed your travels. Check out SWISSGEAR.com for more intelligently designed luggage.